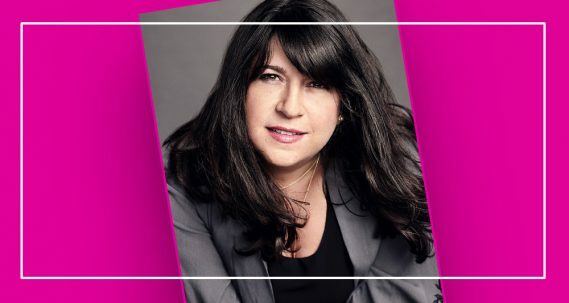 Books & Books (@booksandbooks), Miami Book Fair (@miamibookfair) and the Adrienne Arsht Center for the Performing Arts of Miami-Dade County (@arshtcenter) are proud to present AN EVENING WITH E L JAMES. E L James, whose Fifty Shades of Grey series broke sales records for contemporary adult publishing (150 million copies sold worldwide) will appear in Miami for an exclusive evening conversation at the Arsht Center’s John S. and James L. Knight Concert Hall to celebrate the publication of her new stand-alone novel, The Mister (Vintage, $16.95). The event will be moderated by Mitchell Kaplan of Books & Books. Tickets to AN EVENING WITH E L JAMES are $55* for premium seats, a meet and greet with the author, and a signed copy of her book, The Mister; and $35* for general admission seats along with an unsigned copy of her book. Tickets are available to Arsht Center Culturist members on March 21 at noon and to the general public beginning March 25 at noon. All tickets may be purchased through the Adrienne Arsht Center Box Office by calling (305) 949-6722, or online at arshtcenter.org. E L James is an incurable romantic and a self-confessed fangirl. After twenty-five years of working in television, she decided to pursue a childhood dream and write stories that readers could take to their hearts. The result was the controversial and sensuous romance Fifty Shades of Grey and its two sequels, Fifty Shades Darker and Fifty Shades Freed. Her books have been published in fifty languages and have sold more than 150 million copies worldwide. With one of the largest fan followings in all of publishing, James has been recognized as one of Time magazine’s “Most Influential People in the World” and Publishers Weekly’s “Person of the Year.” Fifty Shades Freed won the Goodreads Choice Award (2012), and Fifty Shades of Grey was selected as one of the 100 Great Reads, as voted by readers, in PBS’s The Great American Read (2018). She co-produced for Universal Studios the Fifty Shades movies, which made more than a billion dollars at the box office. $55 VIP seating includes a meet and greet with EL James as well as priority performance seating and a signed copy of The Mister. Meet and Greet details will be sent via email prior to the performance date.